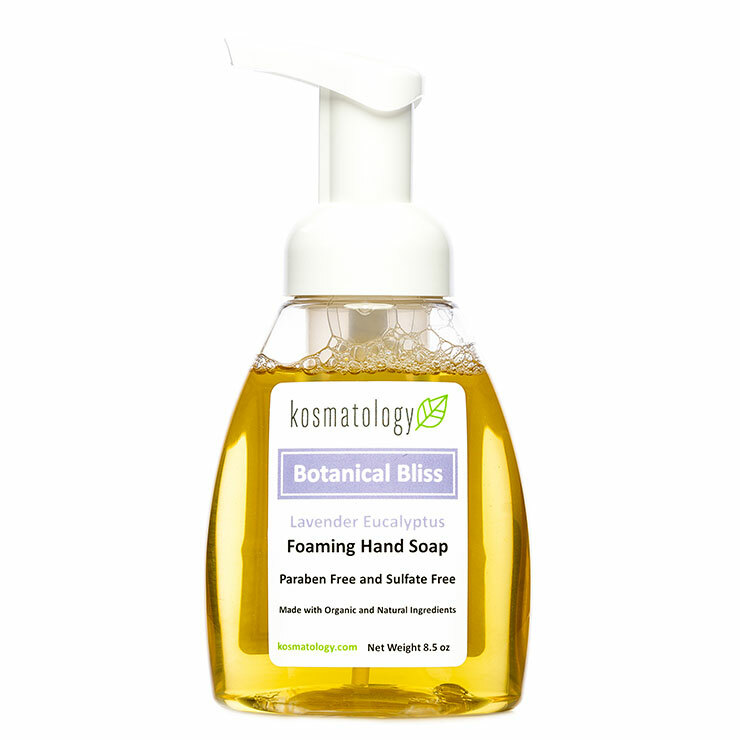 Cleanse hands while leaving them feeling soft and hydrated with Kosmatology Foaming Hand Soap. 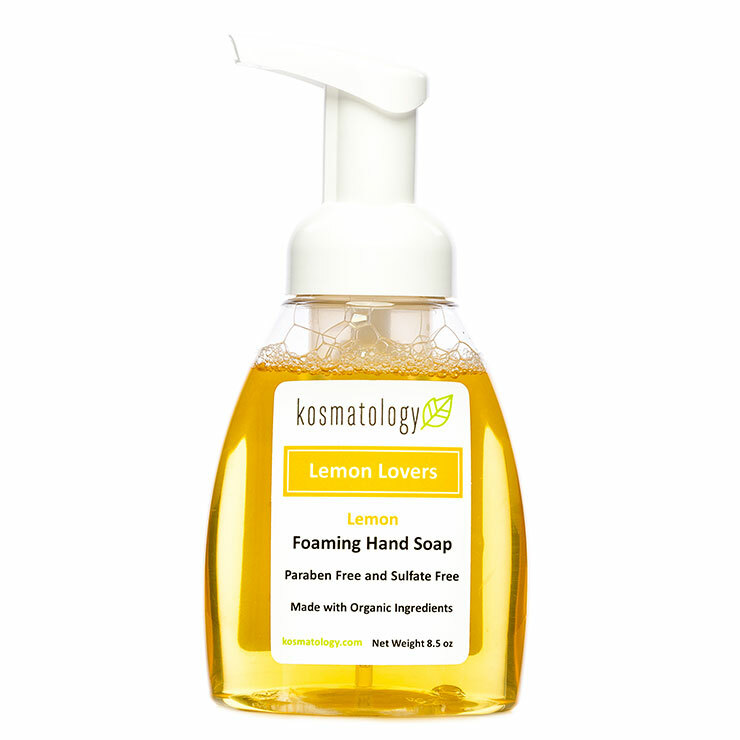 Made with olive and coconut oils for a light lather that feels silky smooth on skin. Choose from 5 pleasing scents. 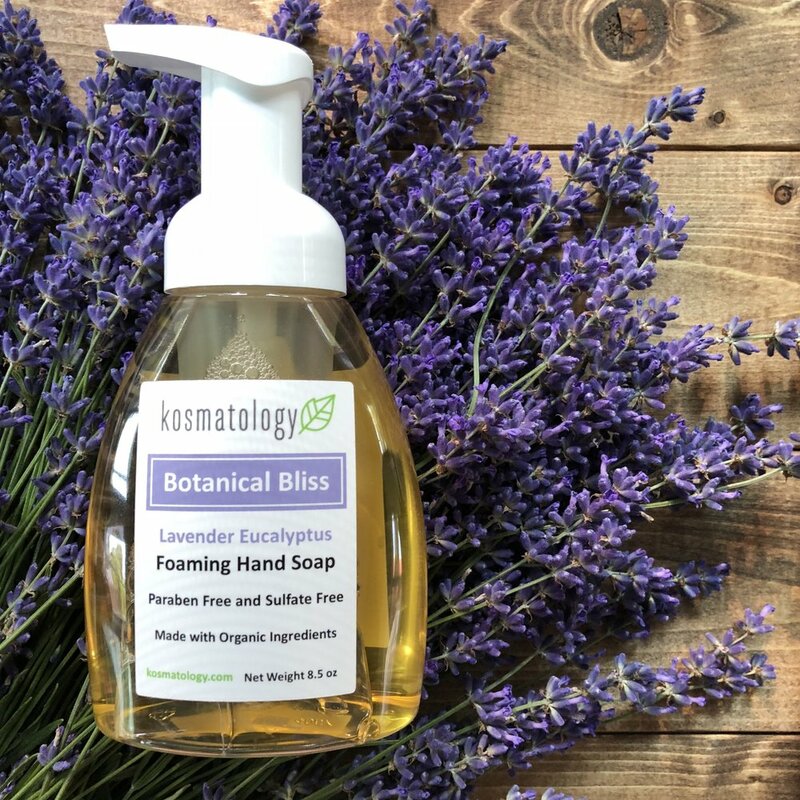 Lavender and eucalyptus leave skin feeling calm and refreshed. 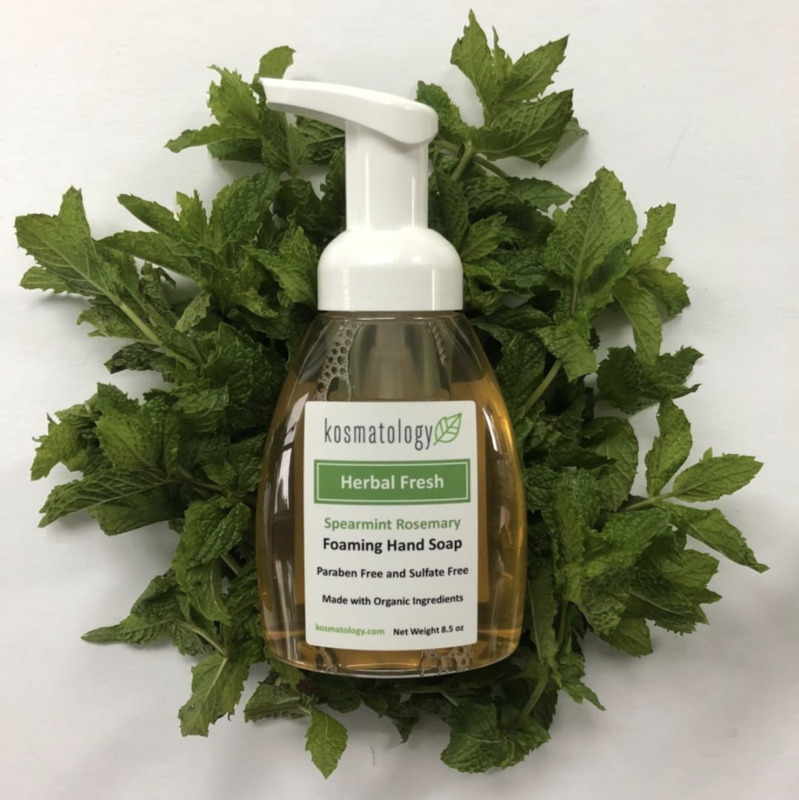 Spearmint and rosemary provide a balancing feel and invigorate the senses. 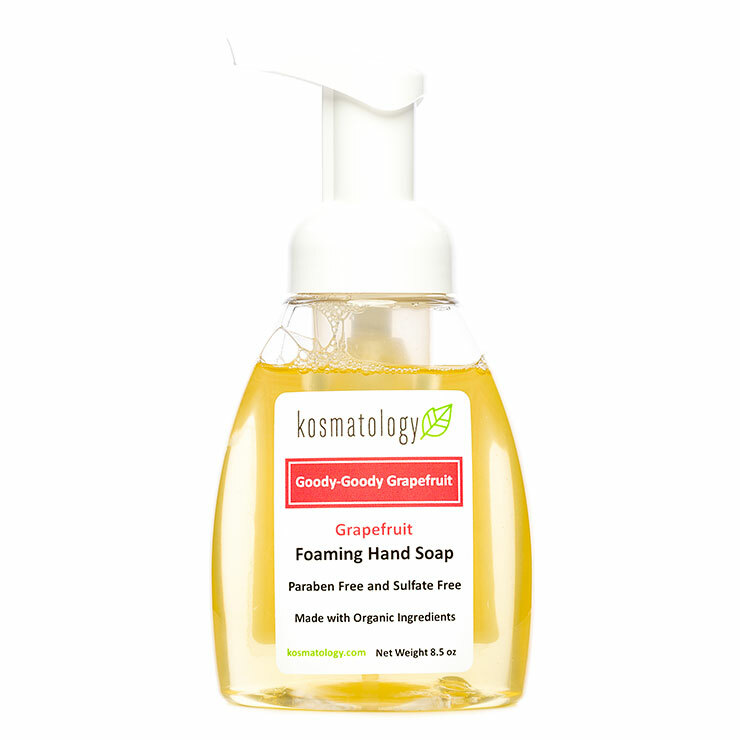 Grapefruit essential oil lends a restorative and purifying feel to skin. 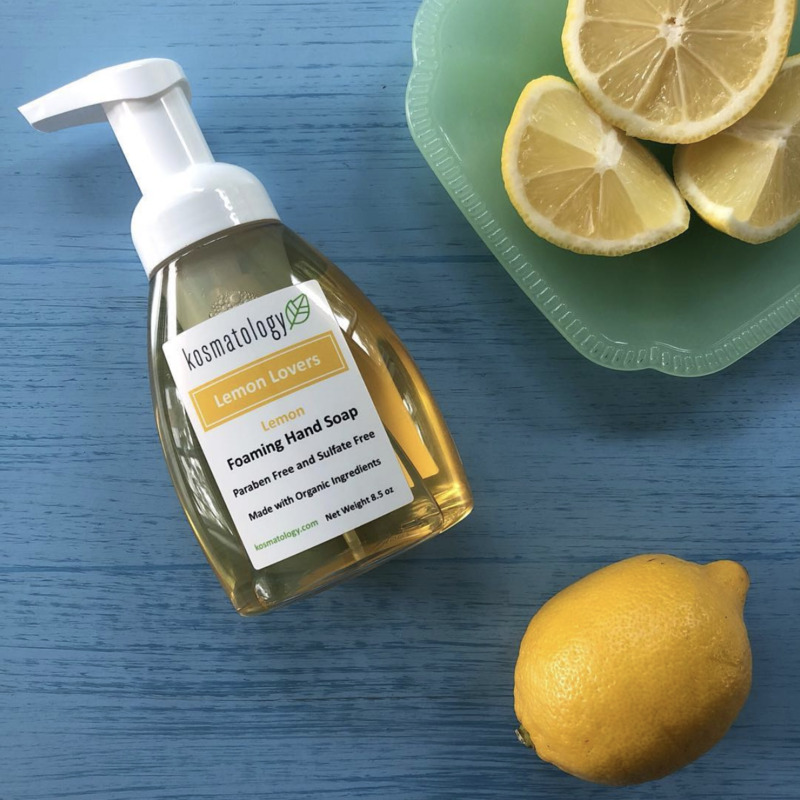 Lemon essential oil cleanses and makes skin look glowing and youthful, while offering a fresh zesty scent. 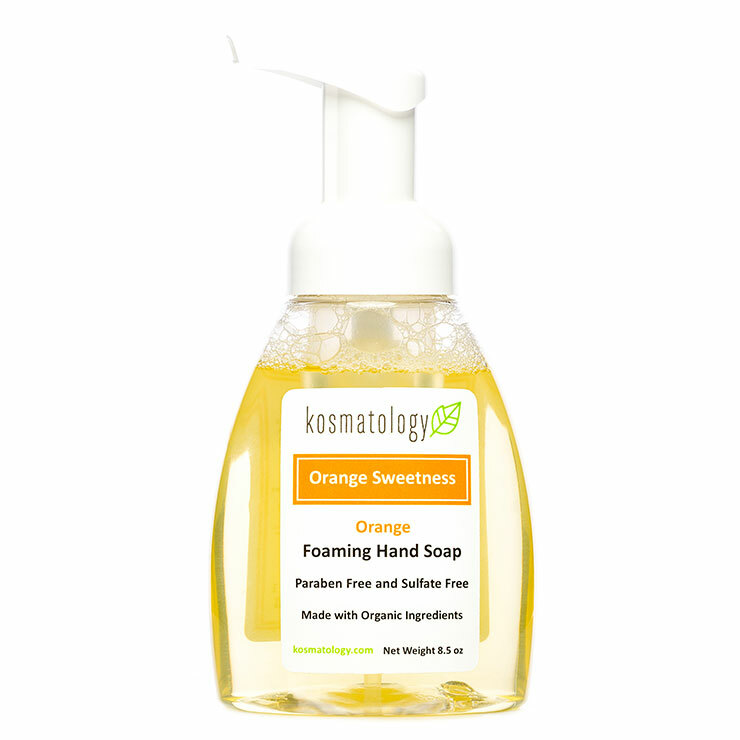 Orange essential oil increases the appearance of healthy circulation and provides an uplifting sensation. 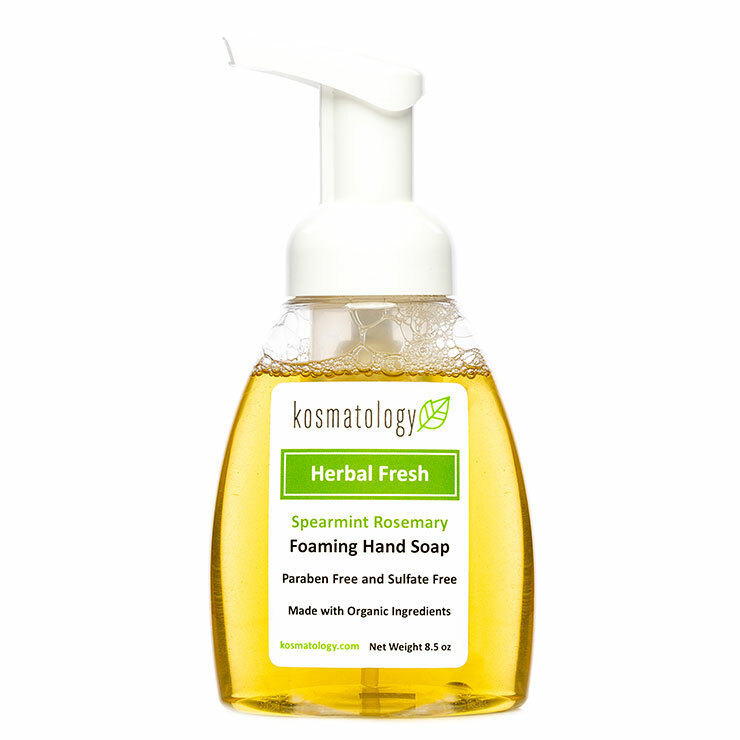 Apply organic foaming hand soap to wet hands and work into lather. Rinse thoroughly with warm water.